A strong relationship between franchiser and franchisee is imperative to the success of any franchise, as well as the capability of your franchiser -- their financial health and their ability to keep products, services, and marketing current and relevant. Supercuts is owned by Regis Corporation. Regis is the global leader in hair care service. They are a Fortune 1000 company with almost 13,000 salon locations among 60 brands in hair care services, products, and education. 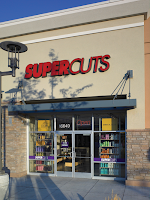 Supercuts is Regis Corporation’s flagship franchise brand. Since 1922, Regis’s success has stemmed from their continued ability to innovate according to demand. Even in 2009’s economic uncertainty, Supercuts provided franchisees with the knowledge and confidence to open eighty new Supercuts across the country, bringing the franchise to over 2,100 locations throughout North America. This website and the franchise investment information on this site do not constitute an offer to grant a franchise. The offer of a hair salon franchise can only be made through the delivery of a franchise disclosure document. Certain states require that we register the franchise disclosure document in those states. The communications on this website are not directed by us to the residents of any of those states. Moreover, we will not offer or grant franchises in those states until we have registered the franchise (or obtained an applicable exemption from registration) and delivered the franchise disclosure document to the prospective franchisee in compliance with applicable law. I agreed to post this press release. Regis samples might be sent in exchange for my post. I posted because this seems like a great business opportunity! Everyone needs a hair cut!